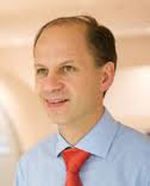 Professor Colin Berry is Chair of Cardiology and Imaging in the University of Glasgow and a former Senior Clinical Fellow in Translational Medicine. He is also Academic Lead in Cardiology and Consultant Cardiologist at the Golden Jubilee National Hospital and Western Infirmary, Glasgow. His specialty interests are Interventional Cardiology and Imaging. Professor Berry jointly founded the Scottish Heart Disease Research Collaboration and he is a committee member of the British Cardiovascular Society Academic & Research Committee, the British Society of Cardiovascular Research and the British Society of Cardiovascular Magnetic Resonance. Professor Berry is a Fellow of the Royal College of Physicians and Surgeons of Glasgow and Royal College of Physicians of Edinburgh, Fellow of the American College of Cardiology. Professor Berry undertook undergraduate medical studies at the University of Glasgow (1987-1993) and completed an intercalated science degree (Matrise, Physiology) at the University of Paris (1989-1990). He was awarded a PhD at the University of Glasgow (2002) in Cardiovascular Science and his PhD studies were supported by a Medical Research Council Clinical Training Fellowship. Professor Berry trained in Cardiology and Internal Medicine (2001-2006) first in Glasgow and then at the Montreal Heart Institute (2005-2006) where he studied coronary artery imaging and atherosclerosis. His research in Montreal was supported by a British Heart Foundation International Fellowship and an International Exchange Award from the Royal Society of Edinburgh. When in Montreal, he became the first British clinician to participate in transcatheter aortic valve implantation (TAVI). Professor Berry then undertook post doctoral MRI research (2007-2009) at the US National Institutes of Health, Bethesda, MD, supported by a Kelvin Smith Fellowship from the University of Glasgow. Professor Berry's research focuses on injury and repair pathways in coronary heart disease. including causes, consequences, and health outcomes in the longer term. Professor Berry is Chief Investigator of several investigator-initiated clinical trials including PROTECT, a first-in-man clinical trial of AdTIMP3 gene therapy in patients undergoing coronary artery bypass surgery at the Golden Jubilee National Hospital. Other trials that he leads include FAMOUS-NSTEMI funded by the British Heart Foundation and supported by St Jude Medical, VERIFY also supported by St Jude Medical, and RIC-COR funded by Chest Heart and Stroke Scotland. Professor Berrys heart imaging research group is funded by grants from the Chief Scientist Office, British Heart Foundation, Engineering and Physical Sciences Council, Medical Research Scotland and Scottish Funding Council. Industry partnerships are especially important and Professor Berry has successfully collaborated with pharmaceutical, device and imaging companies in recent years.